This place is becoming beauty box central! After getting tired of repeats and uninteresting products, I cancelled all my box subscriptions a while ago. But somehow, I’ve ended up back with Birchbox and Glossybox again. 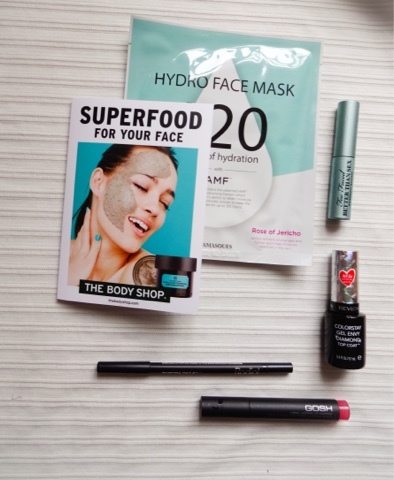 Birchbox has definitely been winning so far, and I was all ready to scrap Glossybox – until I got a peek at something in the September box I really wanted to try…. This month’s box was put together by RED magazine. Its not a magazine I read (and I read a lot of them…) but I do occasionally pick it up if there’s a great cover gift as they tend to partner with high-end brands like Rodial. And sure enough, this month’s box definitely had a more luxe feel than I usually get from Glossybox. Who doesn’t love a sheet mask? I’ve been into them for quite a while now, but I usually bulk order them from Korea as the ones you get over here tend to be quite overpriced. This one is £7.99, which isn’t a price I’m likely to pay when I can source them for about £1 each overseas. Every couple of months I put a big order in for sheet masks, collagen eye patches and whitening strips, as I like to use all three once a week in my Sunday ‘back to work’ bubble bath. But wait! This is a mask with a difference. Instead of the usual thin cotton sheet, this mask is made of HydroGel, which apparently gives it a better ability to hold in moisture, and adheres to the face better (although I still wouldn’t advise you to open the door in one unless its Halloween! 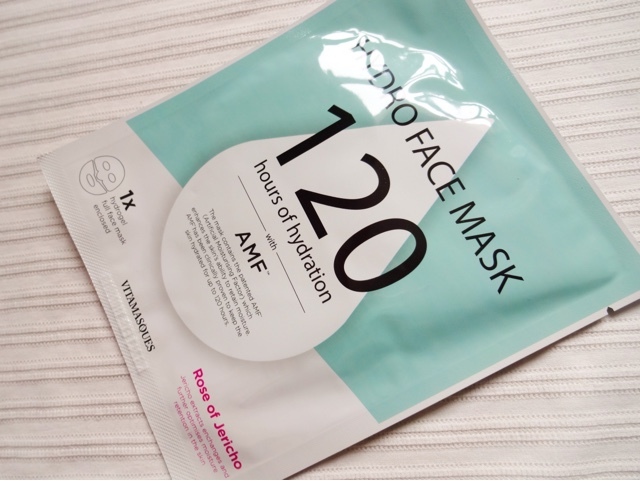 This mask promises hydration for up to 120 hours, which is nearly a week….which…..I mean, that would be pretty incredible if its true. With the march of colder weather/central heating/general misery as winter approaches, that could be just what my skin needs. Rodial are an amazing brand that make some of my must-have skincare, so its pretty cool to see something from their new makeup line in the box. A few months ago, Marie Claire (I think) gave out a set of these pencils – one brown, one black – as a gift, and I snapped them up. 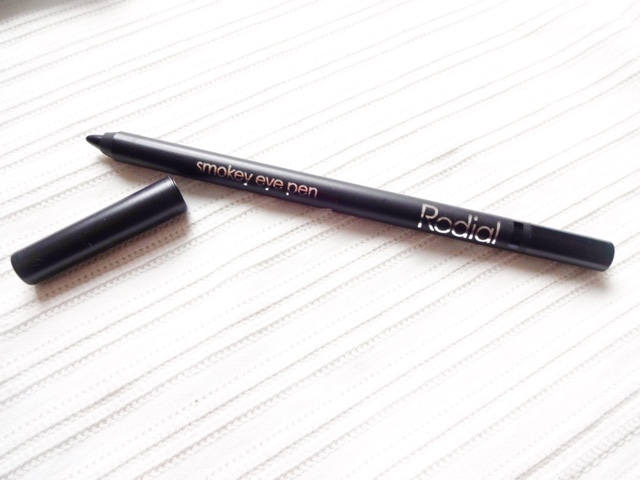 I must admit that I’ve used the brown pencil pretty much every day since – it’s a beautiful creamy formula, a great shade and just does the job. I haven’t used black as much, but with the nights drawing in, I will definitely be reaching for it more. These have a gel texture and blend really well. I’ve been liking drawing them on and then using a small angled liner brush to work into the lash line and wing out slightly. A make-up bag essential done very well. 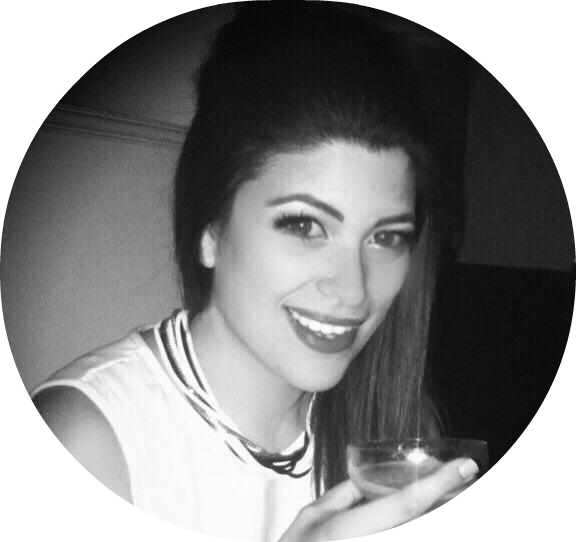 Now this is actually the reason I stayed on with Glossybox this month. My all-time holy grail mascara – now in a waterproof format. Squeeeaaal. I knew already that I’d love it. And if you like a fat, dramatic but feathery lash, you’ll probably love it too. 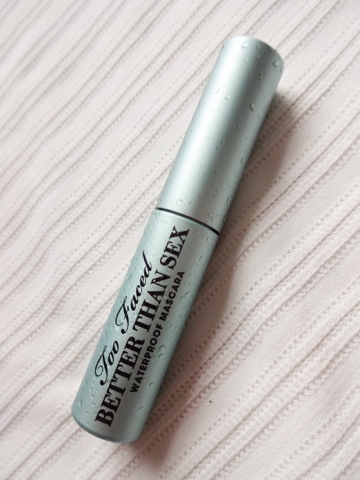 The finish of this mascara is super pretty, and the brush really does give that coveted push-up effect - my lashes are normally flat as a pancake, but this stuff magically brings them to life. The formula contains collagen and just does a really good job - full without being clumpy, fanned out without being spidery. I haven’t tried the new waterproof version, so I was tempted to dive straight in there. But now I think perhaps I should save it for summer holidays, as wearing waterproof formulas regularly isn’t good for lashes. This comes in a pale mint green metal tube with water droplet effect and its super-pretty. Love! And just when I thought Glossybox were onto an unbeatable winning streak this month….this awful, awful lip product drops into the mix. 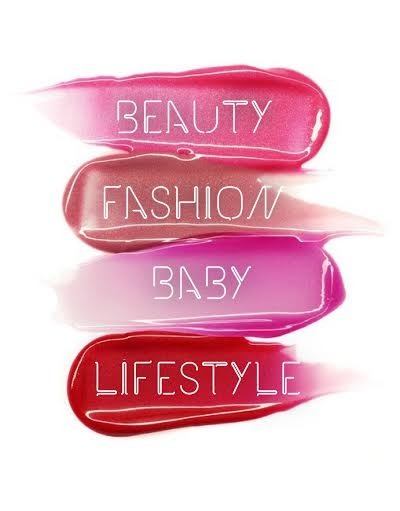 Kind of like a Crayola for lips, this says it provides a stain that hydrates and lasts for hours…no. No, NO, NO. Just no. First up, the shade of pink was so insipid it didn’t really show up much on my lips. It also left a weird sticky residue and my lips felt dry and a bit irritated after. It faded almost straight away – so I don’t know how they can claim its long lasting. The effect once on was very odd, too. It did literally look like I’d taken a marker pen to my lips, not like any balm, gloss or stain I’ve tried. I was super-unimpressed with this and its only of the only items I’ve had that I straight up binned. The idea of paying £8.50 for this is laughable…it sort of reminded me of when you were a kid and you tried to make your own lipstick and things out of food colouring and lip balm…only that probably worked better than this! Big fat nope. 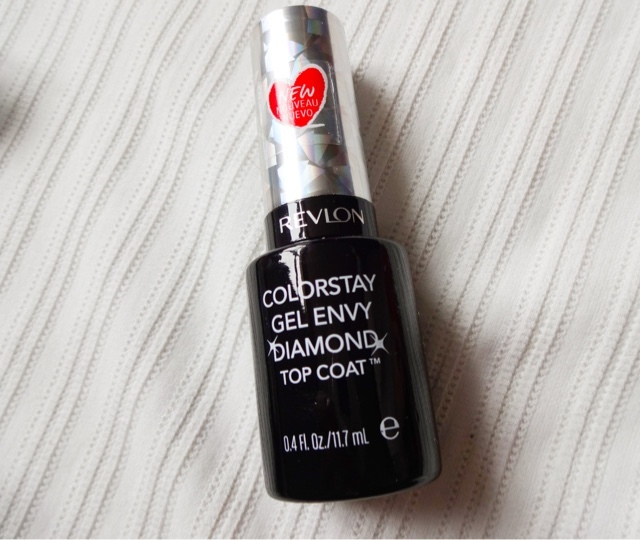 A good top coat is something that I’m usually in need of, so this was a good item to receive. I’m embarrassingly bad at painting my nails, and I don’t have much patience for it, so I tend to get my gels done at the salon once a month and then forget about it. I like the sleek black bottle with the holographic cap and if this really does what it claims, it will be well worth the £7.99 price. Pedis have a lot to stand up to in autumn as feet are shoved into boots and smothered in tights, so this will get put to the test. So, this item wasn't billed as being included in the box, and was a bit of an extra. But I absolutely loved it! The Body Shop have just launched a range of deluxe face masks and they look incredible. Their offering just gets stronger and stronger and I really feel like they're launching innovative, results-driven products now. This face mask follows the ethos of all Body Shop products of causing as little harm to the earth as possible - so its 100% vegan and the ingredients are sourced via Community Trade. 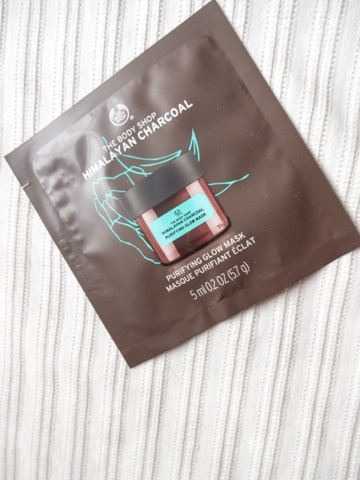 Its packed with Himalayan bamboo charcoal to draw out impurities, Japanese green tea leaves and Kenyan tea tree oil. It feels very cleansing on the skin and left me with a brightened complexion and very soft feeling cheeks! I'm eager to try more of the masks in this range, and at £15.00 is a more affordable (but similar) alternative to GlamGlow. 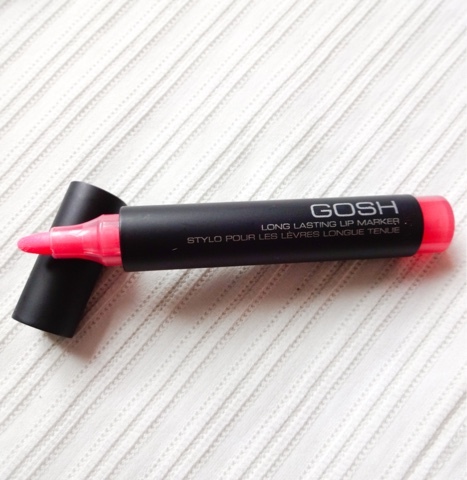 Okay, okay, so this box had some great products in – but it also had an almighty dud in the form of the Gosh Lip Marker. Quite possibly the most useless product I’ve ever had in a box – an especial shame that Red magazine saw fit recommend it. I’ll probably continue to buy individual boxes if they have something in that I’d really like to try, but on the whole? 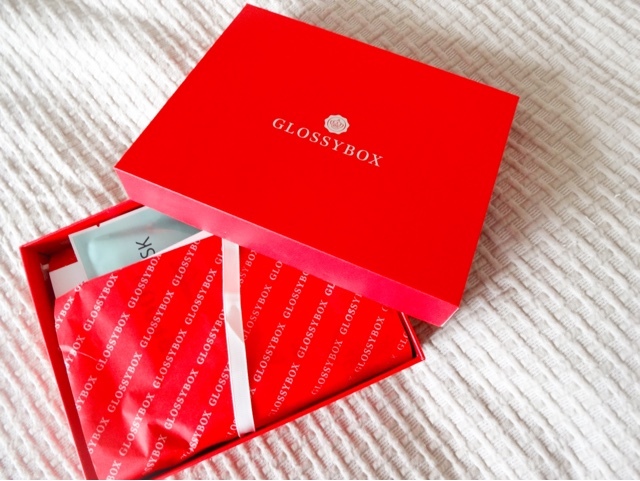 Its bye-bye Glossybox!